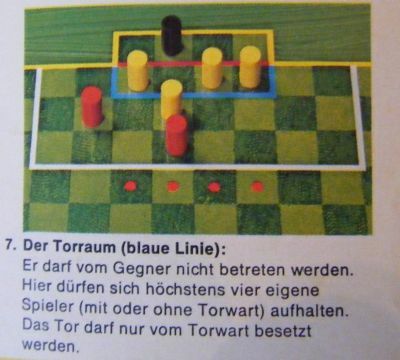 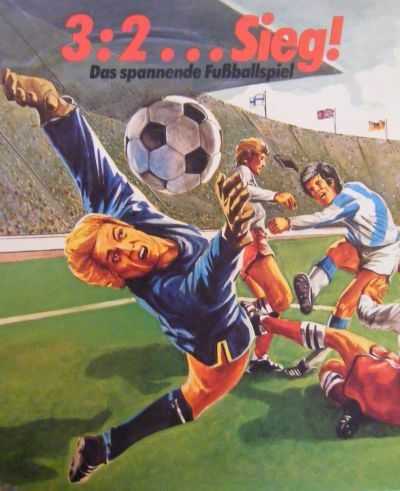 A nice clean and simple German board game - endorsed by no less than Herr Wim Thoelke (who?). 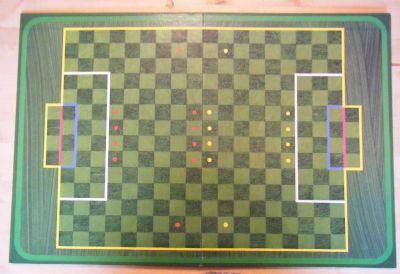 Probably the most fascinating part of this game is the fact that it is played without any sort of ball! 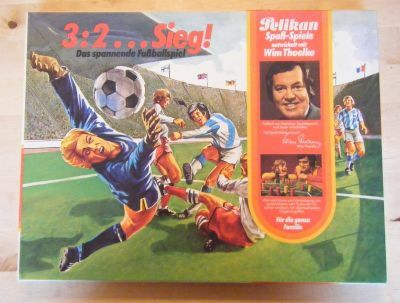 Dramatic box art probably far more exciting than the game inside. 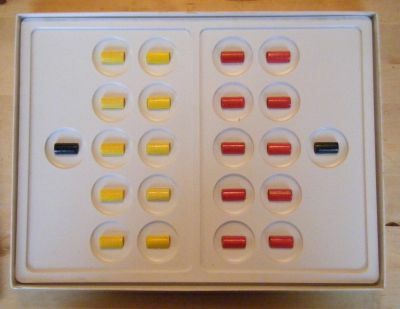 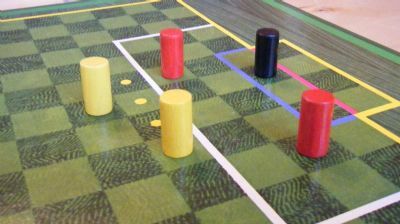 Two teams of wooden counters. 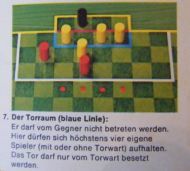 The yellow team are a little too defensively minded in the instructions example.